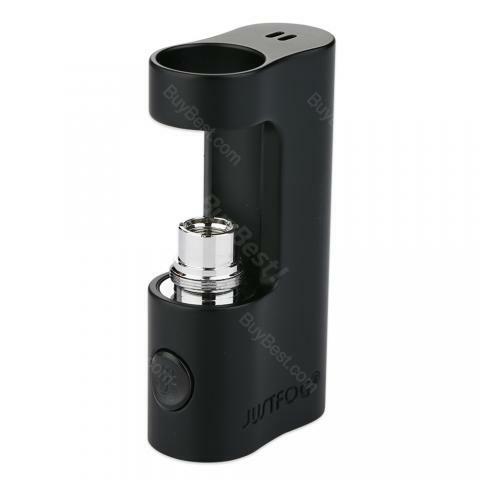 JUSTFOG P14A MOD is a battery mod for P14A Compact Kit. It features 900mAh built-in battery and various protections to bring you good vaping experience. The JUSTFOG P14A Compact Battery is a handy MOD with built-in 900mAh capacity battery. Mod features a constant output voltage and has 4 indicator lights to display battery life. P14A MOD is equipped with various protection functions, such as short circuit protection, overheat protection, over-discharge protection and overcharge protection, so it can be safely used everyday. Operation is simple and easy to understand. Justfog P14 Battery mod comes in black and silver color. • Works perfectly with P14A Clearomizer. JUSTFOG P14A Compact Battery is a very cheap mod at here, and it has a powerful storage capacity of 900mAh, supporting two days's power for me. Nice mod and highly recommend it. Ich bin sehr zufrieden! Lieferung ging recht schnell. JUSTFOG P14A gefällt mir sehr. Gutes Produckt!